A specially formulated liquid drench which can assist in enhancing the immune system along with the growth and development of growing calves. 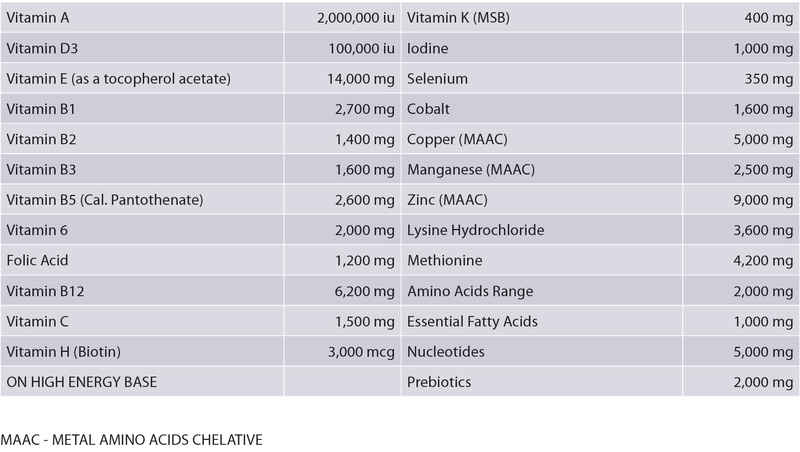 Bovi-Thrive Calf contains vitamins, amino acids, trace elements, fatty acids, nucleotides, and prebiotics and copper which have shown to increase feed conversion efficiency and growth rates (Schoombee and Dewar, 2015). 5 mls per calf for 4 days added to milk or colostrum. Bovi-Thrive may be directly syringed into calves. 30 mls may be given to calves recovering from the effects of scours to assist in healing of the small intestine. Nil meat or milk withhold. Pack size: 1 litre, 5 litre. Store in cool dry place out of direct sunlight. Between 5-25° C.
Do not give to sheep. Bovi-Thrive Calf is available direct through your local vet. For any questions please call your Agilis rep on 0800 agilis.